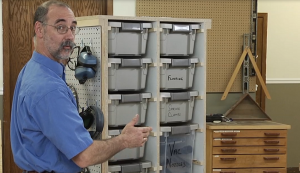 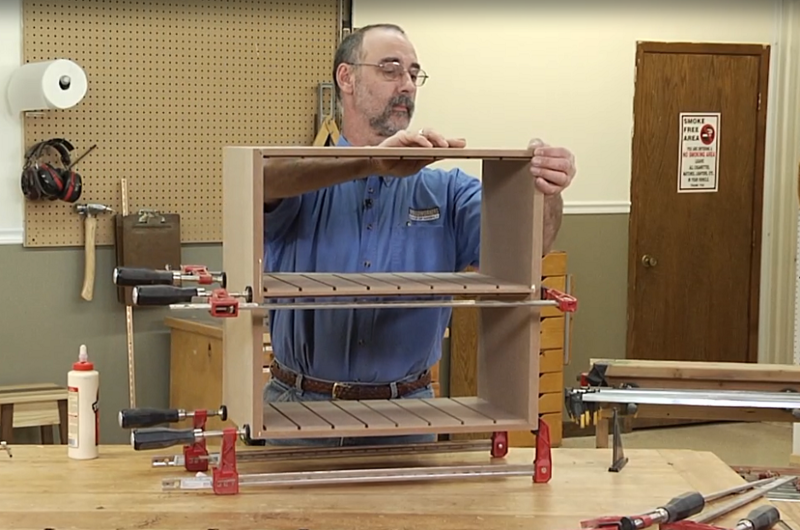 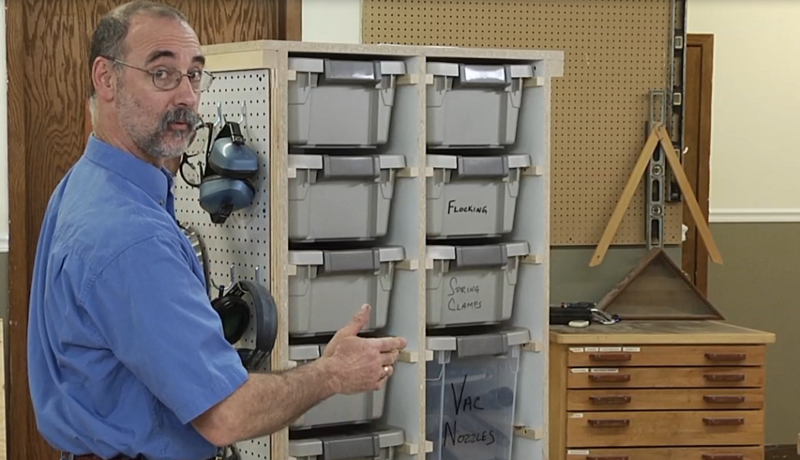 If you care as much about keeping a neat and organized workshop as we do, you’ll love George Vondriska’s guide for creating shop storage projects that will take the clutter out of woodworking. 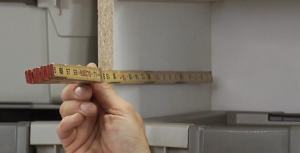 He teaches you the necessary tips and techniques you’ll utilize to plan out and build a sheet good rack, a countertop cabinet with modular drawers, and a rolling tower with pegboard, removable bins and open shelving. 116 minutes.